A classic conversational pastime is answering the question, “What would you do if you won the lottery?” The game often reveals to ourselves and one another what we truly value. In wealth management, we use the question to help clients figure out why they are saving money. It is a critical part of life planning. Financial distress often comes from a failure to live according to our values regardless of our income level. However, the question, “What would you do if you won the lottery?” is poorly phrased. It is intended to reveal your values, but it implies the lottery may be a way to achieve them. This is a false premise. 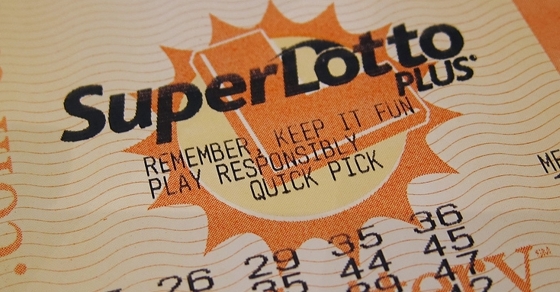 The poorest among us spend over 5.2% of their income on lottery tickets. The lottery is the all-or-nothing savings fantasy of those on welfare, perhaps in part because saving the old-fashioned slow-and-steady way actually hurts their family financially. Any savings over $2,000 could endanger their eligibility for welfare benefits. However, savings under that amount are clearly insufficient to climb out of indigence. When people think that forces outside of themselves determine their ability to succeed, they have an external locus of control. They see themselves as victims of outside influences like fate, luck or the government. Although they acknowledge that such forces can make a difference in their lives, they believe that they themselves cannot. Frequent lottery players are likely examples of this. Living their lives with an external locus of control can prevent people from even trying to meet their goals. If they do win the lottery, it can keep them from holding on to the money they have won. This is why many lottery winners are broke again in five years. Although they temporarily hit it big, gaining money does not change their mindset. In contrast, those with an internal locus of control are more self-reliant and as a result more successful. They tend to be more future oriented and therefore better able to set and achieve goals. This difference in mindset also demarcates being poor and being temporarily without money. Being poor implies a systemic problem, a life characterized by scarcity that relies on external forces. But those with an internal locus of control would say they have never been poor. They have only been broke, a financial situation they perceive as a temporary one that can be fixed. Playing the lottery with anything other than the money you have budgeted for entertainment signifies an external locus of control. That mindset represents a problem worse than the addiction to gambling. The mindset that accompanies the choice of playing the lottery with savings, for example, can prevent you not simply from growing wealth but also from living the life you desire. Such behavior hurts both financially and psychologically. You are handing your wealth over to poor odds as well as relinquishing control of your own destiny to a company’s profits. This is the wrong way to think and the wrong way to live. It is a victim mentality, suggesting you will become rich only by random chance and will remain poor in every other outcome. Its self-defeating helplessness results in a reciprocal determinism. People with an external locus of control believe they can’t affect their environment and so they don’t. They think the system is rigged against them. But there is an alternative route: imagining you have won the lottery to make a plan that can achieve your life goals even if you never buy a ticket. Seeing how results can be attributed to your own actions strengthens your internal locus of control and in return motivates you to take action. Picture that you are financially secure. You have enough money to take care of your needs, now and in the future. How would you live your life? Would you change anything? Don’t hold back on your dreams. Describe a life that is completely and richly yours. You’ve probably heard the saying “Find a job you love, and you will never work a day in your life.” Studies show that deep joy comes from knowing exactly what you want and feeling like you are moving toward getting it. After you have imagined yourself winning the lottery, begin to ask additional questions. What will you have? What does a person who lives that way do with each day? What could you do now that would move you closer to that goal? Perhaps the biggest difference between a lottery mindset and a wealthy mindset is truly believing that your efforts matter. Once you have your goal, try investing just one hour in doing what you need to do to make it happen. Get the application. Find out about the job. Call some contacts. Make an appointment. Planning is mostly science fiction, just a hopeful dream. But following a plan gets us out into the world where something can happen. Anything that moves us toward what we want makes room for real serendipitous events. It also forces us to confront any hidden resistance within us and either overcome it or change our plans. We are luckier when we have worked hard preparing for the task. When we are ready and willing, we are better able to take advantage of the opportunities that do come our way. These right set of circumstances present themselves every day, even to the poor on welfare with an external locus of control. But those opportunities require the self-control of denying ourselves today to have the life we want in the future. There’s no substitute for thrift, hard work and living below your means. These influential values are in direct contrast to the lottery mentality.